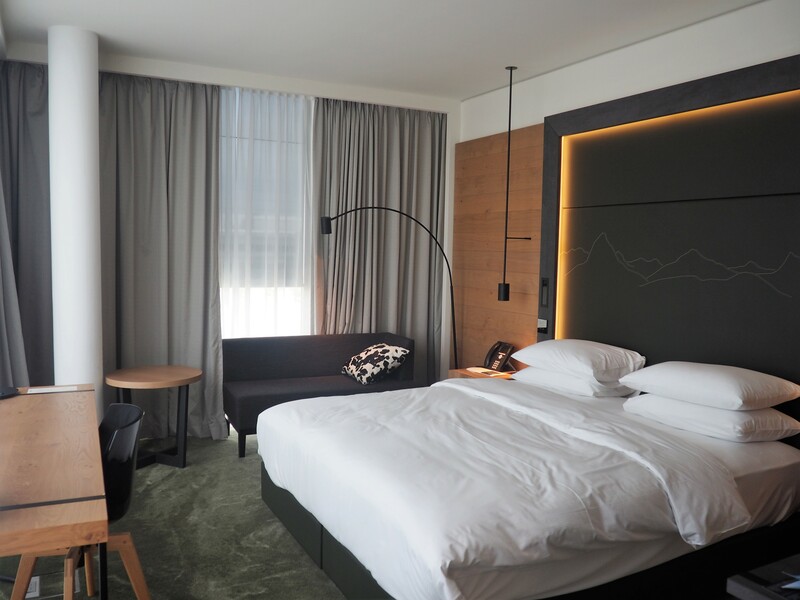 After a speedy check in, we were shown to our deluxe room in the new part of the hotel which was a slight walk away but the extra few minutes’ walk was worth it as we were greeted by a super plush and modern alpine style room. It was so new in fact that it seemed as if we were the only guests in this entire section and we didn’t hear a peep from anyone during our whole stay! 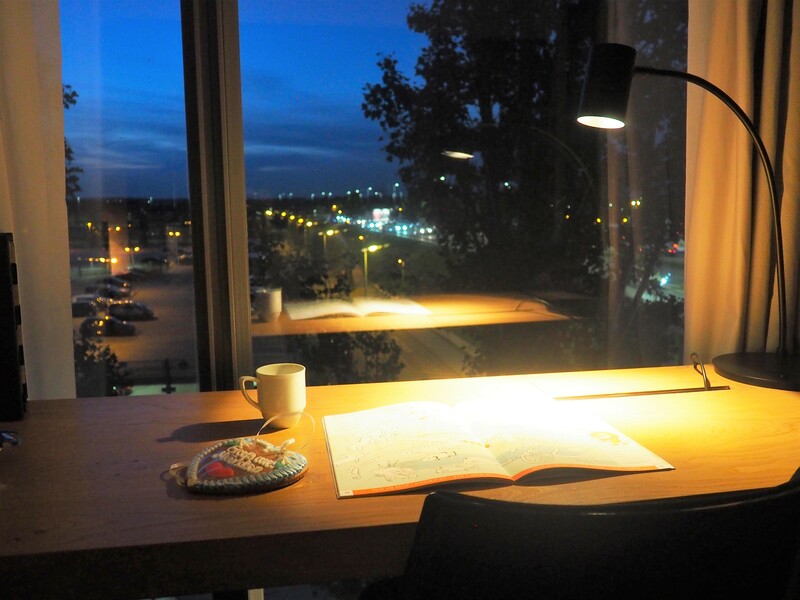 We had a corner room with floor to ceiling windows wrapped around two sides – great for plane spotting or just watching the world go by outside. 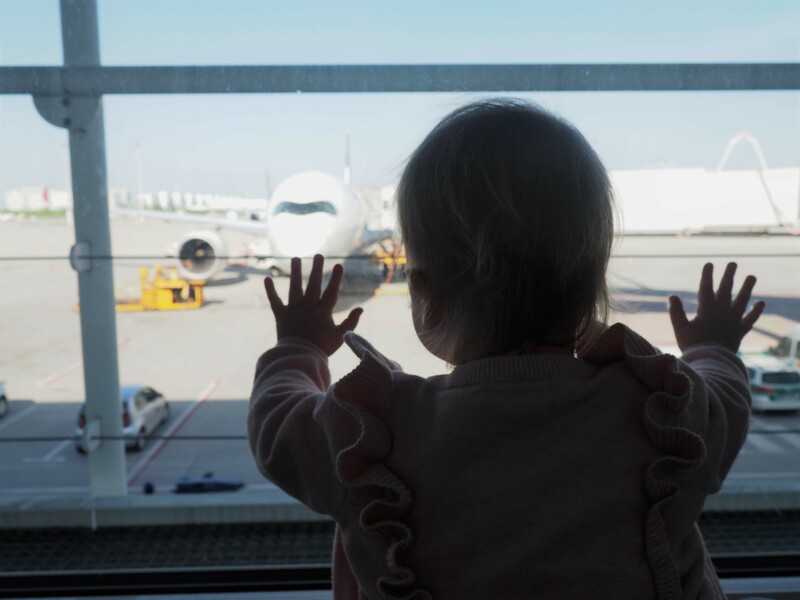 Despite being right inside the airport terminal and being able to see cars and planes from the window, we didn’t hear a single thing from outside during our whole stay. It felt as if we were in our own little peaceful and extremely relaxing bubble. The bathroom was again super spacious with a huge bath, which was perfect for children, and a separate giant walk in shower that did wonders at waking me up for our 5am start! We didn’t want to be cooped up in our room all evening so we headed down to the hotel’s pool for a swim. The water may have been freezing but Evie still loved splashing about in there and it was pretty empty and quiet aside from Evie’s excited shrieks. There is also a sauna and spa area for massages which I totally would have made the most of if it wasn’t for said toddler. Plus a gym but, no thank you, I’ll leave that to the crazy people who actually want to exercise while on holiday. There are plenty of restaurants inside the airport to grab some dinner at as well as the hotel’s own restaurant or bar, but instead I ordered room service so that we could relax in the room and have a quiet night before our early start the next day. 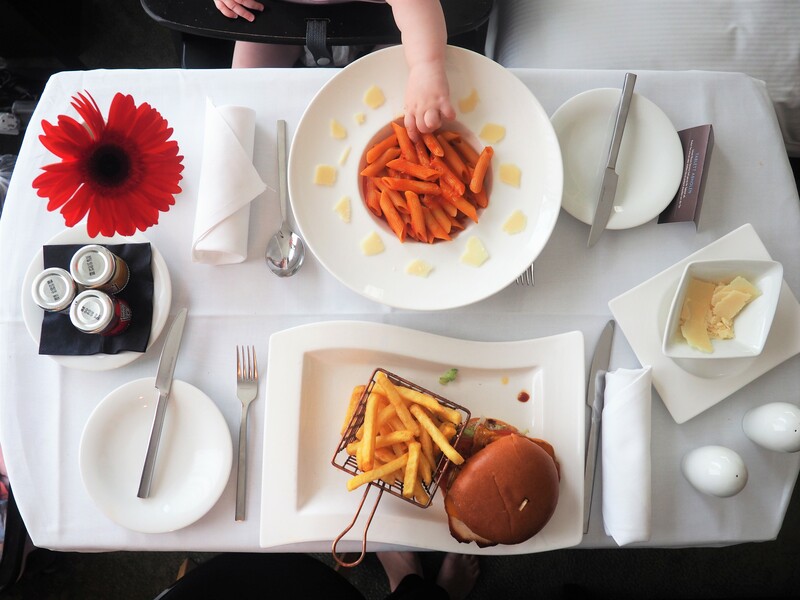 There was plenty of choice on the menu for both Evie and I – I went for the chicken burger and Evie had pasta which we both thoroughly enjoyed. A highchair was even kindly brought up to the room for her which was so helpful. I love how chilled and at home Evie always seems every time we stay somewhere different overnight. 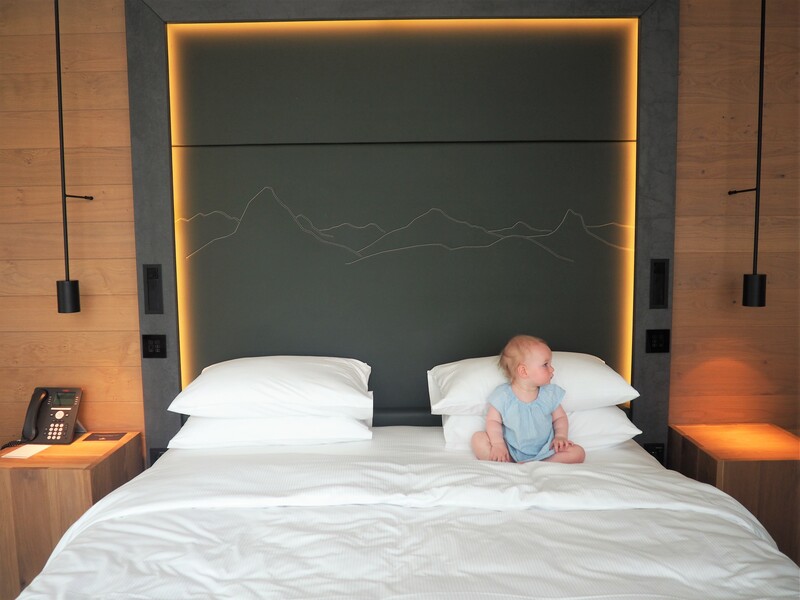 As soon as we got into our room she was waddling around (back when she had only just started walking), pulling open the curtains to take a look outside, and getting nice and comfy in the mahoosive bed when it came to bedtime. I have a king sized bed at home but this one seemed to be so much larger. I felt like Evie was sleeping miles away and I absolutely loved it. It’s not often I’m able to stretch out in bed and go through the night without being kicked in the face! After a blissful night’s sleep and our early wake up call, we visited the Hilton’s restaurant for their huge buffet breakfast where we filled our stomachs with cereal, yoghurt, fresh pastries, a hot breakfast selection, and enjoyed some last German delicacies before we left the country, plus lots and lots of coffee for me which was just what was needed to get me through the morning flight. From looking around at the other guests, it seemed to be largely business people staying here from the looks of their smart suits and attire, but we didn’t feel out of place at all. The staff were all extremely friendly and helpful and the hotel is very well suited to all guest types including families with young children. I know I write a lot about airport hotels but that is because I really really really do love them! It is places like this that make the travel experience so much smoother and when you travel with children a smooth stress-free journey is crucial. Everyone gets more sleep, the kids are happier, which in turn makes for a happier you. 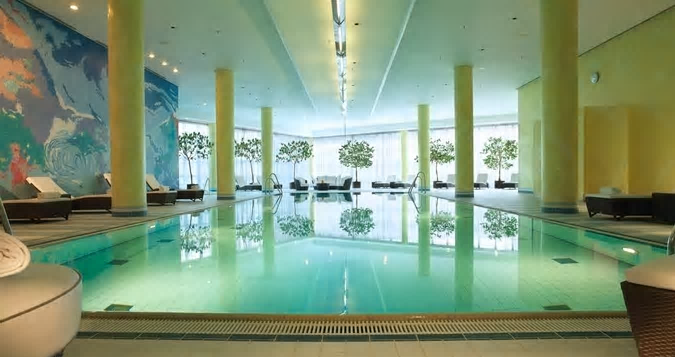 And the Hilton Munich Airport certainly made both of us very happy. 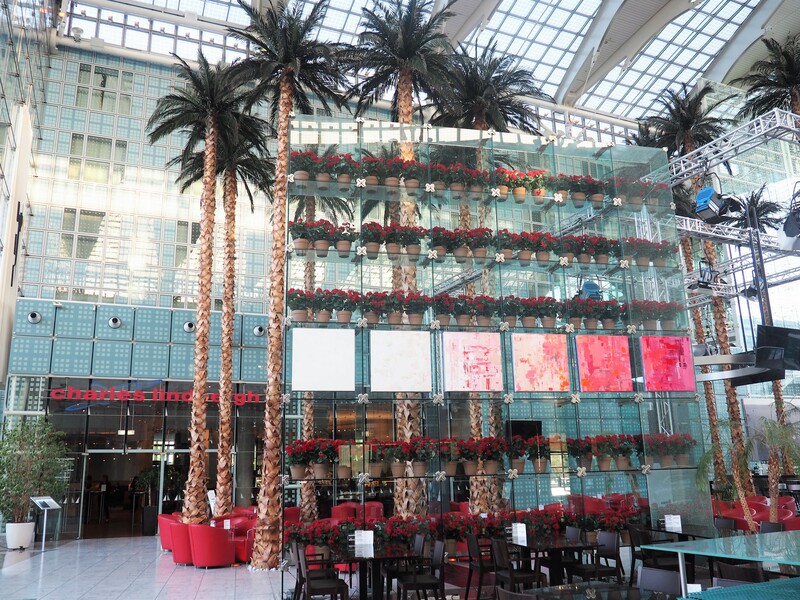 Thank you to the Hilton Munich Airport Hotel who hosted our last night in Germany. Very well written and I enjoyed reading. Being a mother of three kids, it always feels like a blessing to find a perfect place for stay while travelling. Thank you 🙂 Yes finding somewhere great to stay is definitely an important part of travelling with kids! 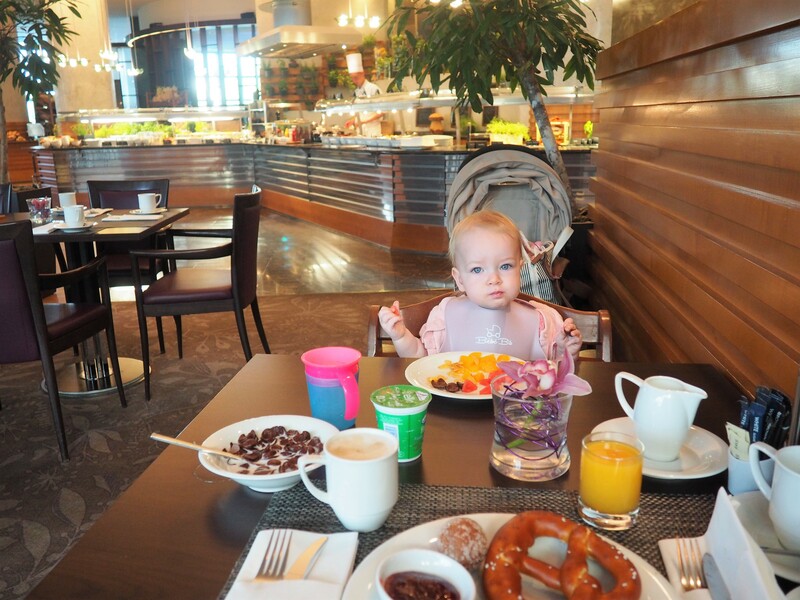 The picture of your little one at the breakfast table is just so adorable!